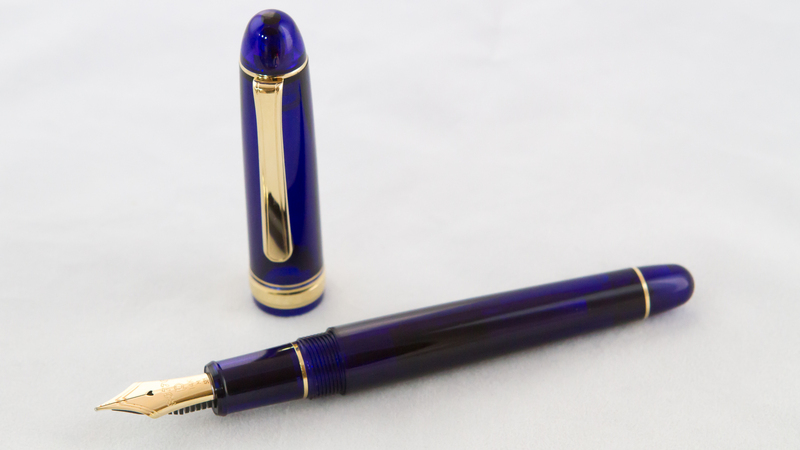 One of the things I most enjoy about being so young in the fountain pen hobby is that almost every pen onto which I lay my hands is an unknown quantity. Sometimes it is the first time I have ever tried that particular pen in that particular configuration. 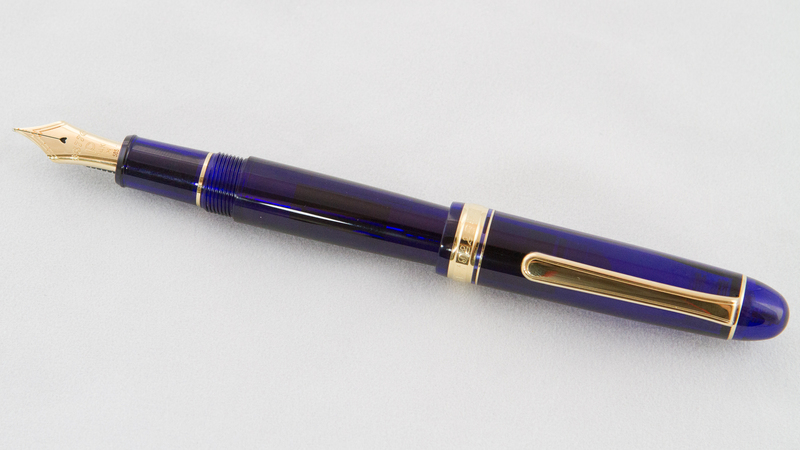 Other times, it is the first time I have had the opportunity to try a pen from that particular manufacturer. 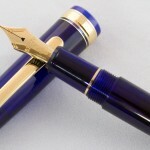 The latter is the case with this pen: a Platinum 3776 Century in Chartres Blue. 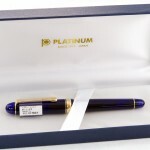 Not only have I never tried any of the 3776 pens before, but I have never had opportunity to use a Platinum pen before either. 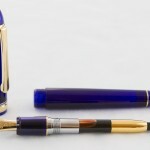 The Platinum 3776 Century would be a relatively unremarkable-looking, cigar-shaped, understated pen were it not for one fairly major thing: the resin from which this “Chartres Blue” version of the pen is made is a stunningly deep, rich, vibrant blue color. It’s transparent, but is so dark and saturated in color that it’s hard to see through it. 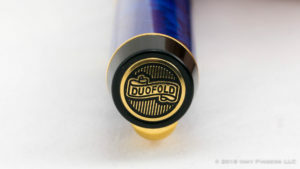 It’s a truly beautiful material, and one that makes the otherwise pedestrian cigar shape with gold-colored fittings quite a standout. In terms of size, this pen is a nice middle-ground between the massive “compensating for something” uber-pens that I love so much and the delicate small-hands/ladies pens that some people prefer. 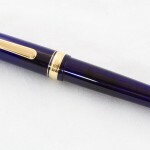 It’s just barely large enough that I can use it unposted, but is quite well-balanced when posted as well, so I can get the additional length out of the pen to truly fit my spider-fingers. It is also just a touch narrower in the grip than I usually like, but not enough that it bothers me in any appreciable way. 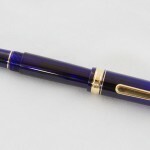 The build quality of the pen is quite high. The threads are precisely cut, the clip is solid, the resin is polished to a mirror shine, and the whole thing just has an air of quality around it. 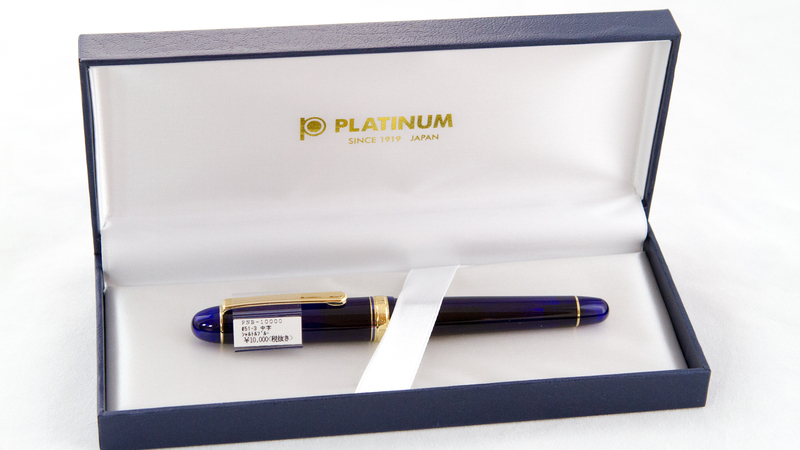 Of particular note is the Slip and Seal cap that Platinum invented that, according to their marketing material, will keep your pen from drying out for up to two years. 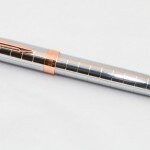 That patented inner-cap system does provide an extra bit of resistance on the final quarter turn of tightening the cap. 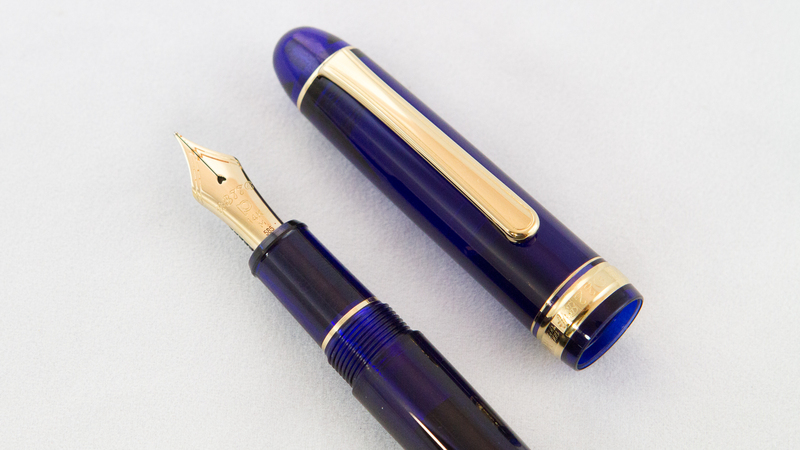 The 14k gold nib is, aesthetically, a good match for the pen. 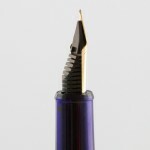 The nib is quite flat across the shoulders, rather than employing the more common rounded shape of most nibs. 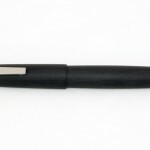 This provides the nib with cleaner lines that match the understated nature of the pen body. Additional, Platinum has foregone any scrollwork or fancy decoration on the nib for a largely text-based design using a clean, san serif font. 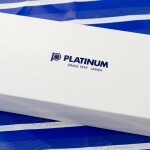 The pen is a cartridge/converter pen, but only uses Platinum’s proprietary system. 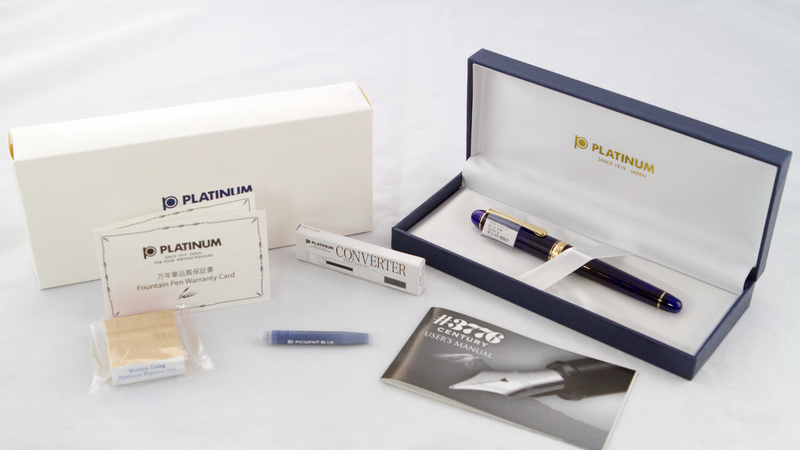 It comes with a very high-quality converter and a couple of cartridges of Platinum’s pigment ink. 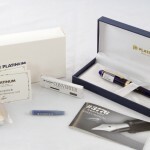 There is a converter/cartridge adapter available for Platinum pens, which will allow you use Standard International sizes on the pen, but I’ve never seen/tried them. 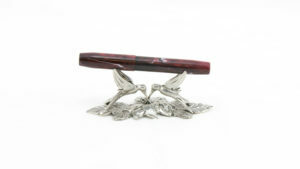 As for writing, the pen is a solid workhorse of a writer. 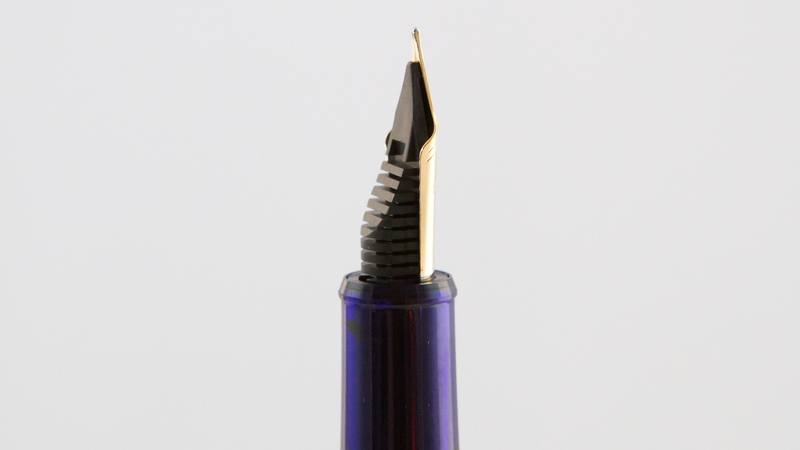 Platinum’s nib can be coaxed to provide a small bit on line variation, but it’s still quite rigid. Out of the box, the nib ran just a bit toothier than I generally prefer, and required a bit of smoothing and a very minor tine realignment to get the pen writing to the style I prefer. What I have yet to experience is anything that resembles a hard start, a skip, or a choking of the ink flow. The pen just writes, each and every time I put the nib to the paper. While the actual writing experience isn’t quite the juicy, super-smooth experience I live for, it’s a great pen for simple, daily writing. 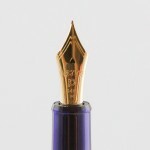 Of course, being a Japanese, pen, the nib sizes run about 1-1.5 sizes smaller than you might find in European or American-sized nibs. 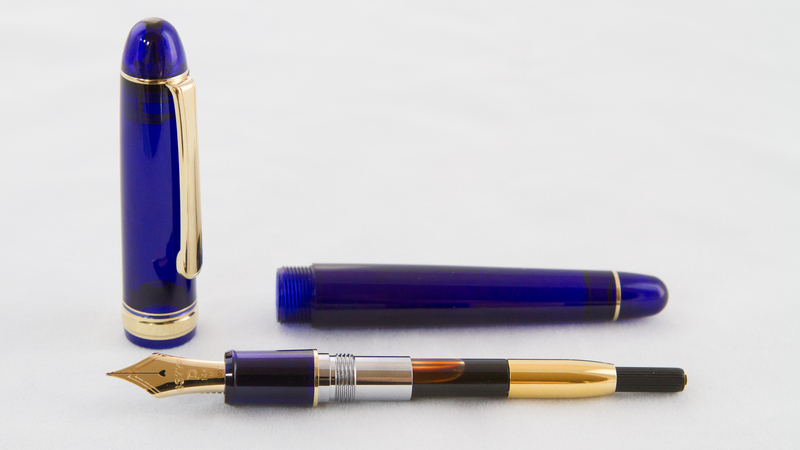 The medium nib I ordered is just a tiny bit more fine than the fine nib on my Visconti or Edison pens. 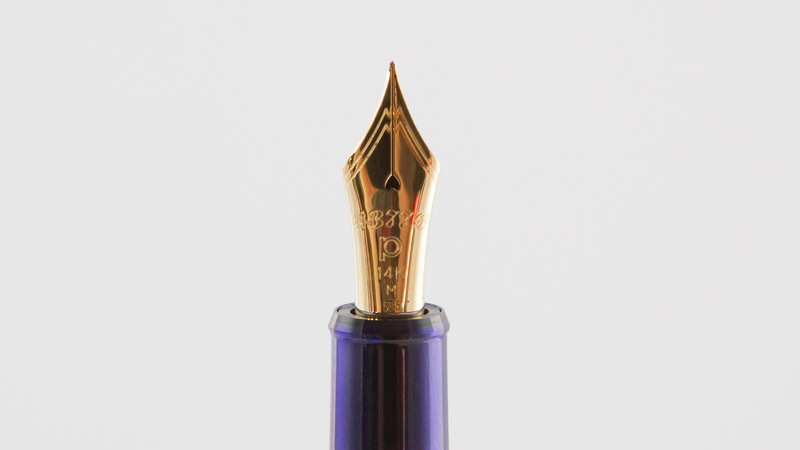 If I had to do it over again, I would probably still order the medium, because, although I consider the nib to be, in essence, a fine, I need a few more fine nibs in my collection for those instances where I don’t have access to my premium paper. 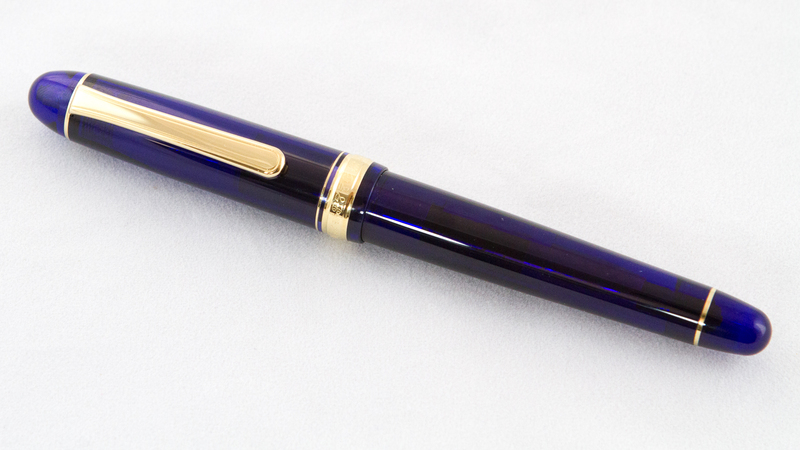 I should note, as I did in the video above, that I purchased this pen from an Ebay seller based in Japan. 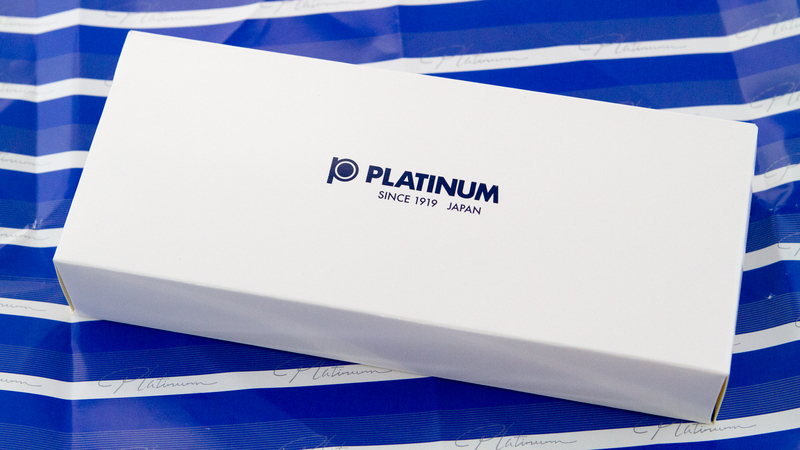 As a result, I was able to get this pen significantly cheaper than I could from any US-based retailers. 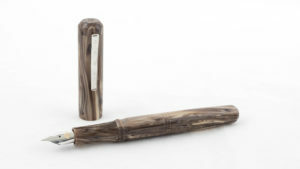 The standard retail price for this pen in the US is $176. On Ebay, I got it for $89 + $13 shipping. For the $102 that I paid for this pen, this is pen is a wonder. 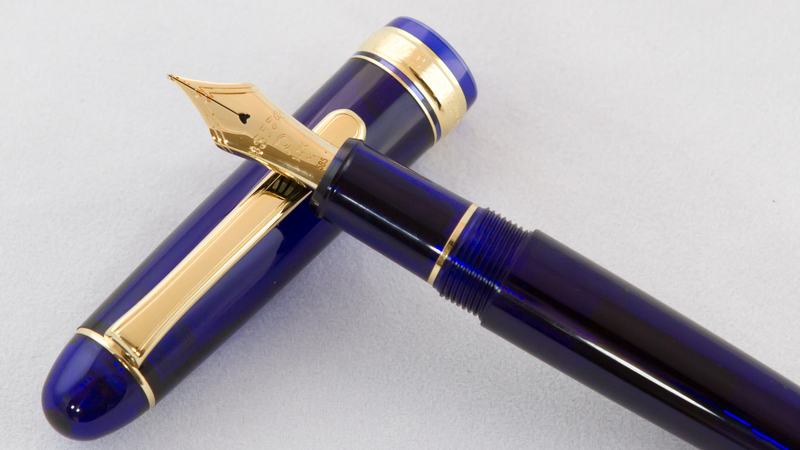 A 14k nib with such consistent writing performance, such a beautiful material, and such high quality of workmanship for just over $100? I consider that a steal. For $176, that starts to get a little bit more questionable for me. 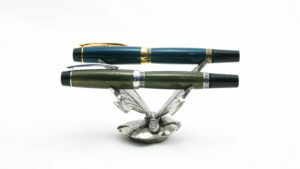 Once I personally start getting over the $100 mark, I want to start seeing something special that sets the pen apart in some way. 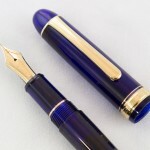 I’m not sure that the beautiful Chartres blue would be enough for me to overlook the rather pedestrian design and the solid, but not wonderful, writing experience. In the end, though, I’m glad I bought this pen. 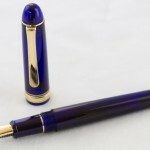 This is one that I suspect will get a lot of use in my collection, simply because it is a good writing experience at a reasonable cost, and can provide me with rock solid, reliable writing using a finer line than I have on most of my pens. I like it, and the more I use it, the more it grows on me. And, of course, we can’t forget that color!